It’s always best to hear how good The Big Sail is from other people, not just us! In this week-long series of Blog posts, we will feature diary extracts from a couple of people who joined us last year, detailing their daily highlights of the holiday! Following a morning of travelling, my friends and I were greeted in Athens Marina by Ollie and his wonderful crew of skippers. Whilst the yachts were being prepared, we soaked up the sun, sipped ice-cold cocktails and watched yachts drift languidly into the harbour. After lunch, we grabbed our bags and were allocated our yachts for the week. 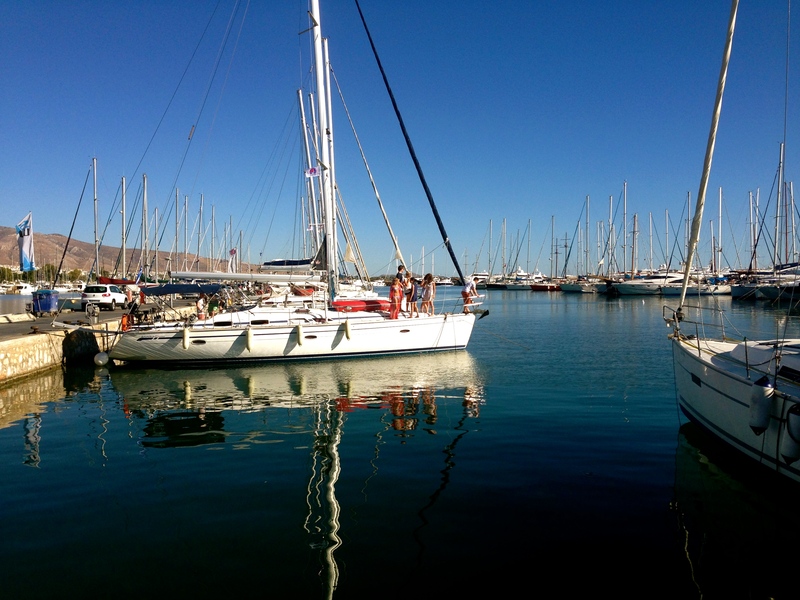 Our flotilla contained three beautiful yachts: Almost Free, Enigma and my boat, Eternal Love. Succeeding a series of negotiations and about fifteen minutes of rigorous cabin politics, we finally decided on room allocations. We spent the rest of the afternoon exploring the port and finished our first day with a group meal, where we bonded over great food, delicious cocktails and a copious supply of wine! That night, my friend and I looked up at the twinkling stars through the little window in our cabin – we were star gazing from our very own bed! The soft murmur of the marina and the gentle rocking of the yacht was so peaceful. I felt strangely at home. The next morning we were up bright and early. After a safety briefing over breakfast, we motored out of the marina. When Athens looked like a tiny speck in the distance, we decided to, literally, learn the ropes. Before I knew it, the huge sails were unfurled, the boom was swinging and my friends and I were frantically climbing from one side of the boat to the other. We were sailing. The wind was rushing through our hair, the sun was blazing and music was blaring. Does life get better than this? After our first sail, we decided that we couldn’t resist the glittering sea any longer. 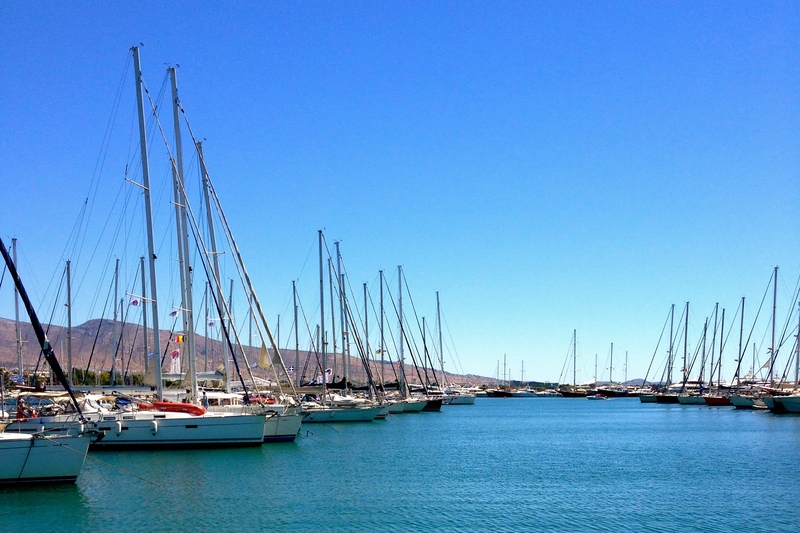 We tied all the yachts together and in one…two…three…jumped in! The sea was crystal clear and perfectly refreshing from the midday sun. The diving competitions commenced and after a disappointing dive-turned-belly-flop, I found myself in last place and missing my bikini bottoms! 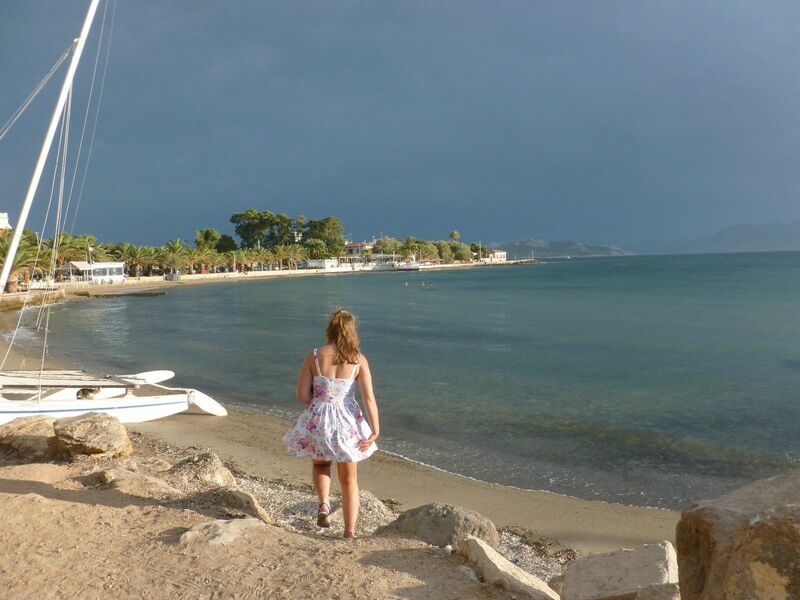 We spent the rest of the day exploring Aegina, a Greek island famous for its stunning sunsets and exquisite beaches. The views were incredible. We were surrounded by imposing green hills, white beaches and clusters of quaint island villages. As the sun set over the island, the sky became streaked with vibrant shades of purple, red and orange. After dinner, the entire flotilla met at a bar in the harbour. The night was filled with Greek wine, Greek music and lots and lots of laughter. 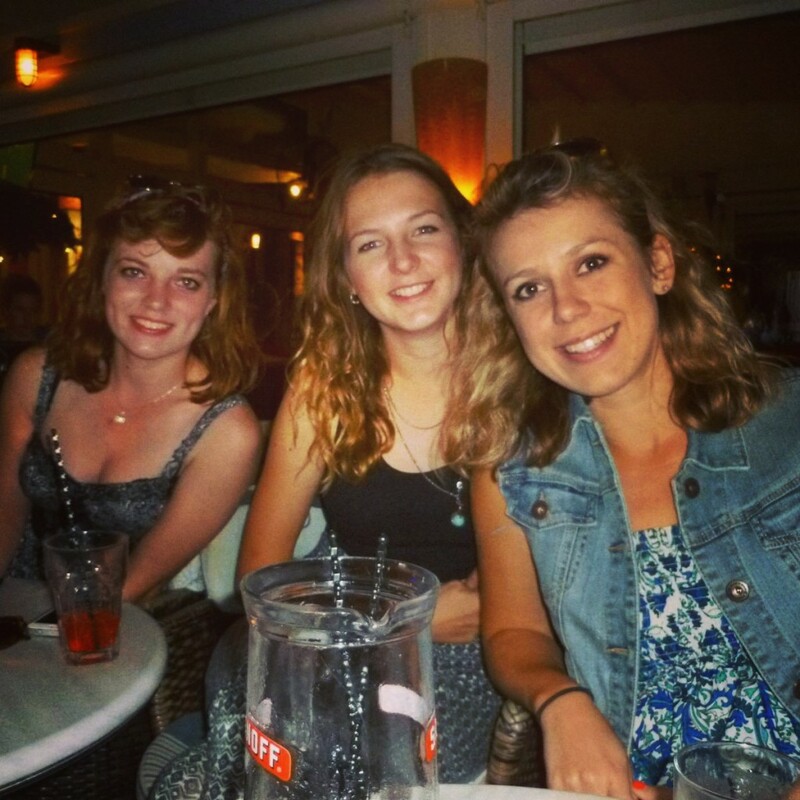 Tomorrow will see Lauren’s diary entry of Day 2 – our trip to Poros! To see an overview and interactive map of the whole route see this page: WHERE DOES IT ALL HAPPEN?